I hate the idea that I could possibly be guilty of the almighty sin of falling into the trappings of masculinity when it comes to strategy games, but there is something genuinely compelling about being able to be the driving force behind an entire nation, civilisation or, well, any organisational unit of people, really. The idea of the fulfilment of a power fantasy is hardly the most revelationary thing to bring out of any analysis of video games, given that a large number are centred around the idea of the fulfilment of power fantasies of being a white man with a too-thick neck brandishing a variety of weapons that couldn’t be sensibly brandished by the noodle-arms of those most likely to play them. 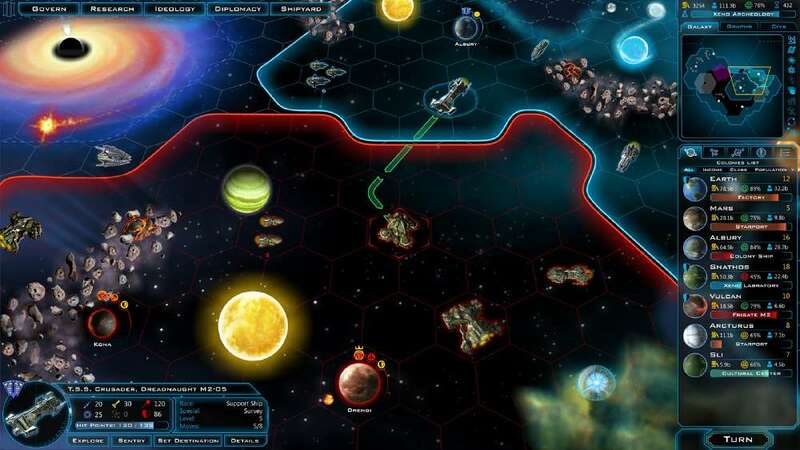 There is something unique about the 4X strategy game, however, that seems somewhat less crass than these explorations of the crude desire of dominion as expressed in game mechanics. The core of this difference lies in the variety of means by which dominion over others can be expressed, elements of this beng expressed nominatively through the 4X “eXplore, eXpand, eXploit and eXterminate” creed. Dominion of the world can be acheived through knowledge-based (explore), rate-of-change-based (expand), resource-based (exploit), force-based (exterminate) means as spelled out in the terms that define the genre at a high level, but many games that fall under the archetype further differentiate between routes to victory – all, at their core, fulfilling one of the four core ‘X’s. 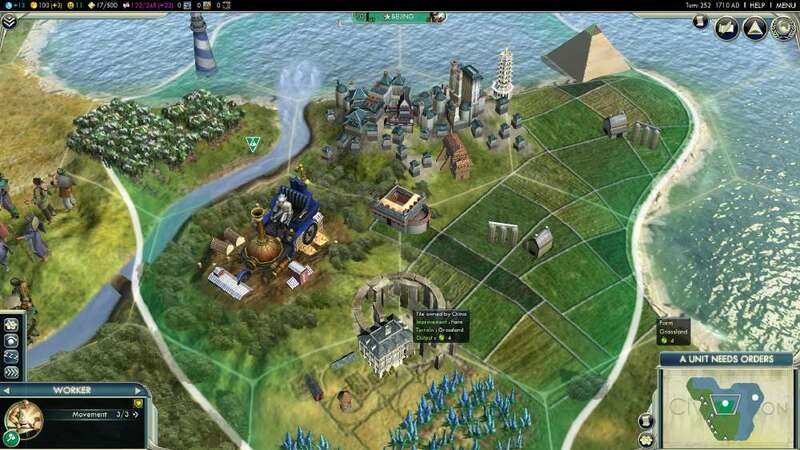 For example, Civilization IV‘s culture, tourism and science victories are all instances of ‘exploit’ type victories – amassing more of a given resource than any other player to acheive victory – but all have vastly different decision trees that lead to them. Depth in these games is not merely a function of the number of ways to acheive a goal known a priori: satisfaction is also to be found in the manner by which long games evolve. While a player may start out with a means of victory in mind, making decisions as to unit production, city management and resource exploitation in a rigidly telelogical manner given that fact, knowledge gained concerning what other players are seeking to do (learning that no player is following a particuarly militaristic path, for example) may lead to more pragmatic decision making to occur. These games never play out the same way twice and rarely as one may expect. This variety ensures that the game rarely feels stale or repetitive. The idea of a 4X game being linear is not an idea that I can take seriously. Too much is variable: behaviour of players, even in the case of AIs, is so variably deterministic of what the sensible response to a given situation would be; resource locations of generated maps can create unique points of contention betwene players to be solved through a number of means, some diplomatic, some not so; and that first end-focussed decision about how a player should start a game will inevitably set off a chain of events that will never be quite the same. There’s only really one way to get through a number of useless henchmen. Perhaps my appreciation does still err too close to “armchair general” syndrome: given my chosen vocation and general skillset, it is somewhat unlikely that I will ever have the opportunity to command legions of men to do my bidding in the aim of acheiving a common good. At the same time, I’ve received a hideously Platonic western education, so I’ve been conditioned to feel that somene of my educational background and with a deep appreciation of philosophy should be commanding people. Perhaps my love of the 4X my way of being able to realise this pipedream of relevance. Perhpas this doesn’t matter at all and my extolling the virtues of the genre has done little more than solidify my love of it: would that be too terrible a thing?